When we launched our first ship, 1972’s TSS Mardi Gras, we knew we were shaking things up. 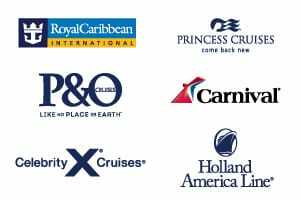 We made cruising a lot less stuffy, a bit less fancy, and the kind of fun everybody could enjoy Nobody expected this ship to change the cruise world, but… here we are! And if it happened again, it wouldn’t surprise us. In 2020 we’ll be launching a brand-new ship with a familiar name. You guessed it: Mardi Gras. We aren’t just paying homage to our first ship – in cruising circles this name suggests innovation, signals the start of something big. And it shouts fun! at the top of its lungs. We’re building this new Mardi Gras to live up to that legacy, so start daydreaming now about what’s to come! For starters, imagine the greenest cruise ship in North America, the first to be powered by clean-burning liquefied natural gas (or “LNG”). Add innovative entertainment features, like being the first ship ever with an onboard rollercoaster: BOLTTM. And give this thrilling ship of your dreams a unique look and layout – when designing this one we started from square one. 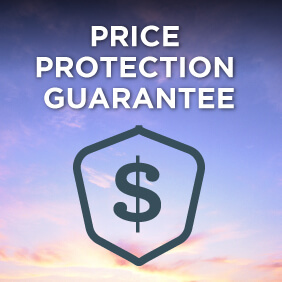 View all Mardi Gras cruises, view a selection of Carnival cruise deals, or view more options for Carnival cruises. You know what they say: where there’s smoke, there’s great beers too! Enjoy BBQ faves freshly-smoked right there… plus exclusive microbrews. Bonsai Teppanyaki features seafood, meat and tofu specialties masterfully prepared at your table. Not an easy word to say, but for relaxation and rejuvination, it’s one worth learning. In these rooms the thermostat only has one setting: \”perfect\”. If you’re all about feeling good, we’ve got a massage to match. 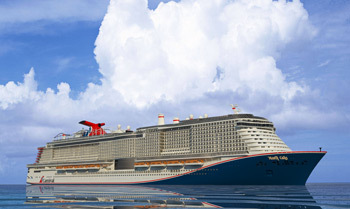 In another cruise industry first, Carnival Cruise Line’s Mardi GrasTM will feature the first-ever roller coaster at sea when it debuts in 2020, providing an unforgettable and unique open-air thrill ride on the line’s newest and most innovative ship. Built by Munich-based Maurer Rides, BOLTTM : Ultimate Sea CoasterTM is a heart-pounding rush of adrenaline offering nearly 800 feet of exhilarating twists, turns and drops with riders reaching speeds of nearly 40 miles per hour. Make creativity happen with an onboard arts and crafts sesion designed by the experts at Michaels! Holidays are some of the greatest days…and definitely some of the best to be enjoying a cruise. You know what they say: where theres smoke, theres great beers too! Enjoy BBQ faves freshly-smoked right there… plus exclusive microbrews. Say “cheers” to celebrating with a full glass – all cruise long! Calling all cocktail captains: come mix it up, pour it over ice… and let’s raise some spirits. Your Sail & Sign card is the key – play and earn special perks, private invitations and great offers. There’s great blackjack action – hit the tables. The secret to free drinks in the casino… is no secret at all.